The content marketing landscape is more crowded and challenging than ever before. 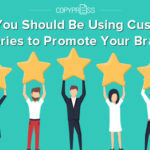 Businesses are producing copious amounts of content and using a wide array of tools and techniques to promote their brands. 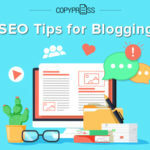 While you can obtain satisfactory results with tested and proven methods such as blogging and social sharing, you need to do more if you want to stand out from your competitors. 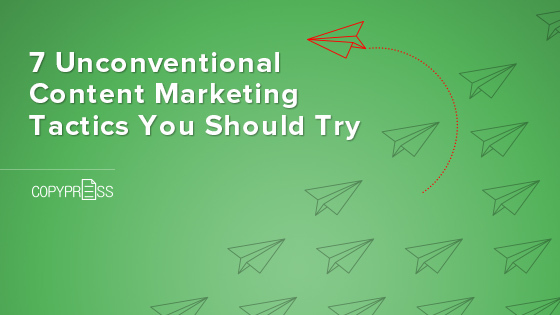 Unconventional content marketing tactics can help you capture your customers’ attention more easily and make a stronger impression on them. Use these seven unusual techniques to make your competitors look generic and boring by comparison. 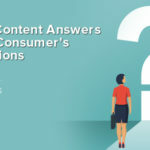 Content that is useful to your customers is bound to improve your return on investment because it provides answers to their questions and helps them solve their problems. Developing an online tool or mobile app that makes people’s lives easier is a great way to increase customer appreciation and loyalty. There is a wide variety of tools and apps you can use to meet various marketing goals. For instance, a product search or recommendation tool can improve your customers’ shopping experience, while a game, quiz, or makeover app can generate interest and boost engagement. The rapid growth in smartphone usage has made podcasts increasingly popular. Many people are now binge-listening to podcasts during their daily commutes. You can take advantage of this trend by starting your own podcast. This is an ideal medium for showcasing your company’s expertise on a particular subject. If you have little experience in creating a podcast, try starting with the interview style. This type of podcast is relatively easy to produce and can be an effective way to educate your customers about your products and niche. If you want to engage your audience on a deeper level, consider creating a storytelling podcast. This type may require more creativity, but it gives your listeners a completely unique experience by conjuring strong imagery in their minds. In the past, it was difficult to watch videos online because of slow internet connections. Those days are over. Now, YouTube is one of the largest search engines and most visited websites in the world. People go there not only for entertainment; they also look for solutions to their problems. If you can produce great videos that inform, entertain, and inspire viewers, you are likely to hit the jackpot. However, making videos can be costly and time-consuming. If you are working on a tight budget, you can start by turning your popular blog posts, articles, infographics, or podcasts into videos. All you need to do is take the same topics and create videos around them. If you want to increase brand awareness, make your business, products, or services the star of your videos. Fun and educational demo videos can help you establish your company as an authority in your industry, win the trust of your customers, and increase your referral traffic. Holding online contests is one of the best ways to create buzz for your brand. If you are planning to hold contests on a regular basis, it is a good idea to sign up for a contest management service. This kind of service enables you to plan and launch many different kinds of events, including sweepstakes, photo contests, giveaways, personality tests, and surveys. You may also be able to use it to distribute coupon codes. Alternatively, you can hold your own competitions, such as comment-to-win and photo caption contests, on social media websites. In order to satisfy your potential and existing customers, you need to be able to answer all the questions they have about your business and products. 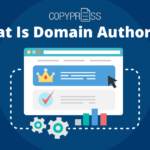 Having an FAQ section in your website is one thing, but you can turn those questions into valuable pieces of content to establish your brand as an expert in your industry. By hosting Q&A sessions and webinars, you can educate your customers in a direct and personal manner and provide answers to more specific questions. These events can be easily organized using an online software application. Social media chat rooms are also excellent channels for answering questions from your customers. Many businesses and marketers have abandoned print marketing in favor of digital marketing. While you need to stay up-to-date with the latest marketing trends, you should consider investing in this type of traditional marketing as a way to distinguish yourself from your competitors. As a result of technological advancements, you can now make unique and high-quality printed marketing material. Your printed content can take the form of an attractive annual report, eye-catching direct mail pieces, or an interesting monthly or quarterly magazine. 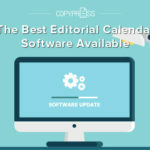 If you want to be more unconventional, you can create printed trading cards that feature your sales and customer service representatives, send out a product- or industry-related calendar to your customers at the beginning of the year, or turn your popular infographics into posters or T-shirts. Not everything has to be done online. There are many ways to implement content marketing in the physical world. Conferences and trade shows provide excellent opportunities to demonstrate your expertise through presentations, printed material, videos, and other forms of content. If you have the resources, you can even organize your own event to educate your prospective customers, generate leads, and improve your public image. Another idea is to find ways to get involved in your local community. Donate to charity, volunteer, and encourage your employees to contribute to worthy causes. While these activities may not involve content marketing, they can provide first-rate material and inspiration for creating digital content. Write blog posts or articles to preview or wrap up the events and share them along with pictures and videos on social media. 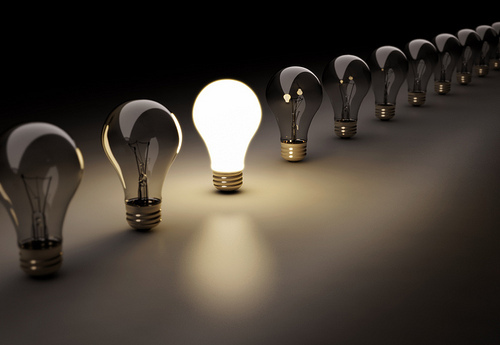 Similar to running a business, content marketing involves taking risks. You can either play it safe and become a drop in the vast ocean or venture off the beaten path to carve a unique and memorable brand identity. If you want to set yourself apart from your competitors, you need to make unconventional content efforts an integral part of your marketing strategy, not just an occasional endeavor.